Hello I'm Polly and I run Japlene. 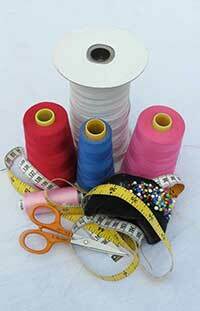 We offer a personal design and dressmaking service whatever your age, size and budget. We create beautiful made-to-measure dresses and outfits for the mother of the bride, the bridesmaids and, of course, the bride herself. 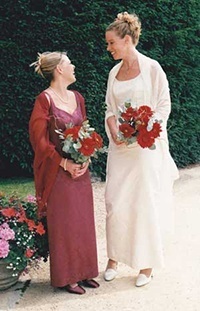 We also design and make elegant dresses for all special occasions, formal and informal, from cruises to christenings and from balls to banquets. 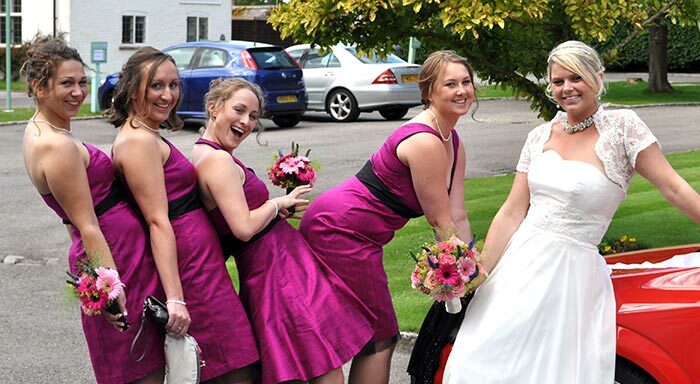 We also take on all types of alterations including wedding dresses and love to copy or revamp your old favourites. We love creating beautiful, made-to-measure wedding dresses and bridesmaid dresses that fit like a dream and look superb. There's no need to compromise on off-the-shelf dresses when we can create unique designs tailored just for you. Bring us your ideas for designs and browse through our range of fabrics then we can work together to sketch your perfect dress. Our careful fittings and experienced dressmaking skills will give you a dress that you will absolutely love. Let us create a stylish and flattering outfit for the wedding that you will be proud to wear. Over the last 30 years we have developed a particular reputation for creating elegant, made-to-measure outfits for the mother of the bride that are both comfortable and classy and which don't cost the earth. Come and talk to us about your thoughts concerning style, fabrics and colours and we can fashion a lovely outfit for you that will look perfect on the big day. A special occasion deserves a special dress and we can create a superb, individually designed dress for you that looks stunning and which suits the occasion to a tee. Whether it's a society function, a ball, a prom, Henley, Ascot, a christening or a cruise, you don't need to be satisfied with an off-the peg item which isn't quite right. We can create a unique and fashionable dress for you in the fabric you like using the colours that suit you best. Are there clothes in your wardrobe that you never wear because they look a little dated now or they no longer fit properly? Don't take them all to the charity shop – instead bring your favourites in to us and we can give them a new lease of life making them good-looking once again. If you have clothes that are damaged – trousers or jeans with a tear, a zip broken – bring them in for us to fix. We can also make up cushions and curtains for you. We'd love to hear from you and to create a beautiful dress or outfit for you for the wedding or other special occasion you are attending. We have over 30 years' experience in creating made-to-measure dresses and we have loads of great design ideas to suit everyone whatever their size, shape or budget. We are always happy to discuss your ideas and will guide you from design through careful fittings to the finished garment creating a unique dress that you will be proud to wear. We can make any design especially for you in any fabric you like. It's a great alternative to buying from the High Street. By choosing to have your own made to measure dress you give yourself the freedom to have whatever you want. You're very welcome to make an appointment to come to the workshop to view or range of fabrics to help you with ideas for your dress or outfit. While you're here you can also look at our small range of accessories which will complement your outfit whatever the event. Do give us a ring on 01865 361225 or contact us via the website – we look forward to welcoming you to Japlene very soon.